The excitement of planning for a holiday is something many of us look forward to. We work hard, and we appreciate the opportunity to get away from it all—even if just for a little while. And, increasingly, we tend to research upcoming trips online. In fact, one recent survey reports that 95% of American respondents preferred to do their travel research via online channels. If you work in the travel industry, the biggest takeaway from that data is that having a top-notch website is of the utmost importance. It may literally make the difference between booking a guest or having them choose a competitor. But having a website that shows off your destination doesn’t have to be difficult. We’ll share some tips regarding features and best practices that will help you get there. Along the way, we’ll introduce you to some terrific WordPress themes, available with a yearly subscription to Envato Elements, that will have you off to a running start. Now, off on our journey! If you come away with only one piece of advice from this article, it is this: don’t force users to search around for your contact or booking information. Consider it the number one mission of your website to recruit new customers—some of whom may become lifelong visitors. To that end, place your contact details and an online booking widget in prominent areas of your site. 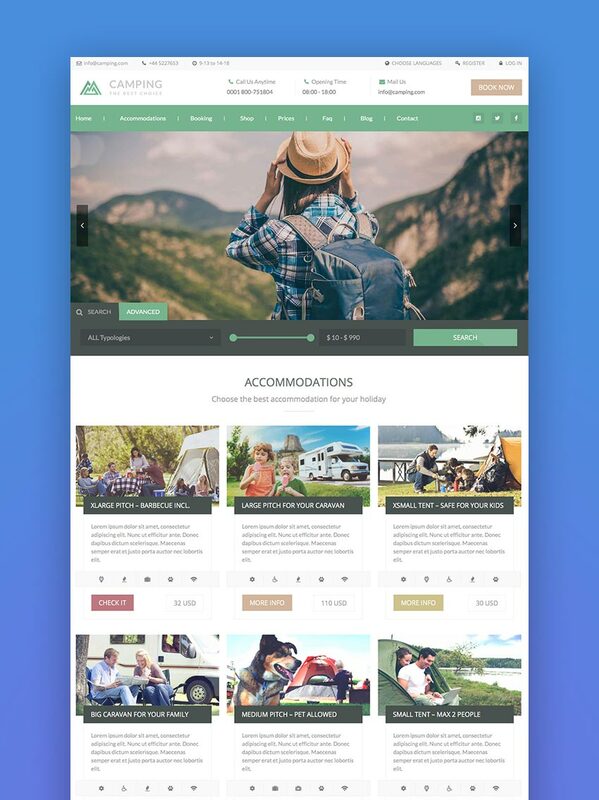 One look at the Camping WordPress theme shows this philosophy in practice. The header features prominent spots for a phone number, business hours, and a “Book Now” call-to-action. 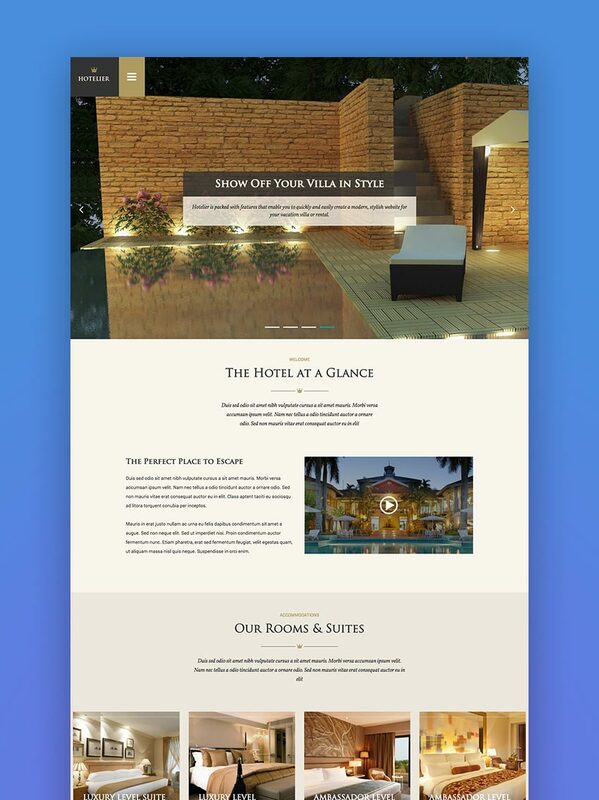 Just below is an attractive full-width slideshow that also happens to include a booking form. This provides users with a sense of what your destination is all about and a means to take immediate action. It’s everything you need without even having to scroll down the page. Potential visitors come to your website because they’re interested in what you have to offer. From there, it’s your website’s job to demonstrate all of the reasons why they should spend their hard-earned cash with you. This means not only showcasing the beauty of your property through photos, but also referencing all of the great things guests can do once they arrive. This can be a challenge for places like resorts that may have many activities going on. But the key is to keep things well organized and encourage users to go deeper into your site for more details. This is a real strength of Leisure, a theme that is aimed at hotels, resorts, and spas. Especially of interest here is the “sub-navigation”—located just below the main menu. It brings together the various available activities, while each option opens up into a beautiful mega menu, complete with a relevant photo. Combined with the massive slideshow, the theme communicates what vacationers can do at the fictional resort and entices them to learn more. This can serve as a great launch point for any multifaceted destination. One of the keys to providing a great user experience is empowering users to find the things that interest them. The tools your website provides should correspond with your type of business. 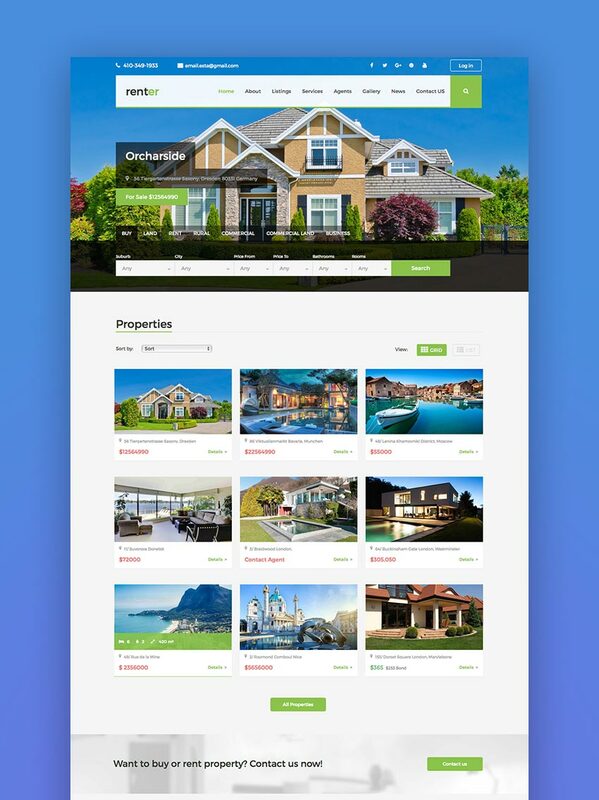 In the case of timeshare properties with multiple units, that means offering features like a property search or a map that plots out each of your locations. This allows potential guests to weigh their options and ultimately book the best fit for their needs. Timeshares and rental properties can really benefit from a theme like Renter. It’s not only capable of showing off your locations in style, but it also enables you to provide detailed listings for each one. Big selling points such as maps, photo galleries, amenities, video tours, and floor plans can help travelers find the perfect spot. 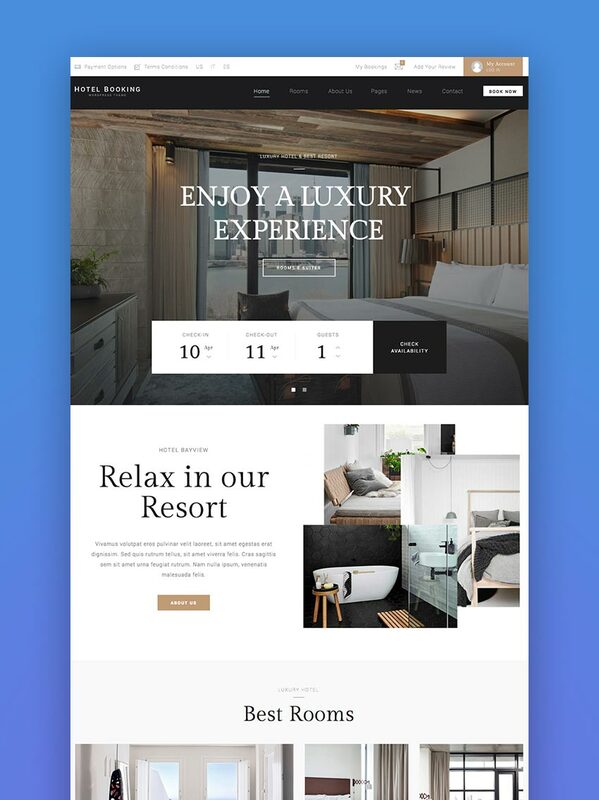 Whether you bill yourself as a casual family getaway or a refined luxury experience, your website should reflect that branding. This is done through carefully considered photos, typography, language, and even color palettes. In essence, each design and content decision you make should be in sync with who you are and what you do. This ensures that you’re appealing to the right audience and setting an appropriate level of guest expectations. If you’re looking to project a high-end experience, you’ll want to consider Hotelier. It comes with demo layouts for hotels, spas, and resorts to help you achieve the right look in short order. The theme also offers stunning visuals and effects to bring an extra touch of class to your brand. Overall, it serves as a great vehicle to show off even the grandest of properties. While there are some similarities between various online booking systems, the best ones are often the simplest. Like most things on the web, making users jump through too many hoops is an invitation to frustrate (and potentially lose) paying customers. Therefore, you’ll want to ensure that booking is as quick and painless as possible. That means a clean, intuitive interface, along with a clear path to finishing off the transaction. 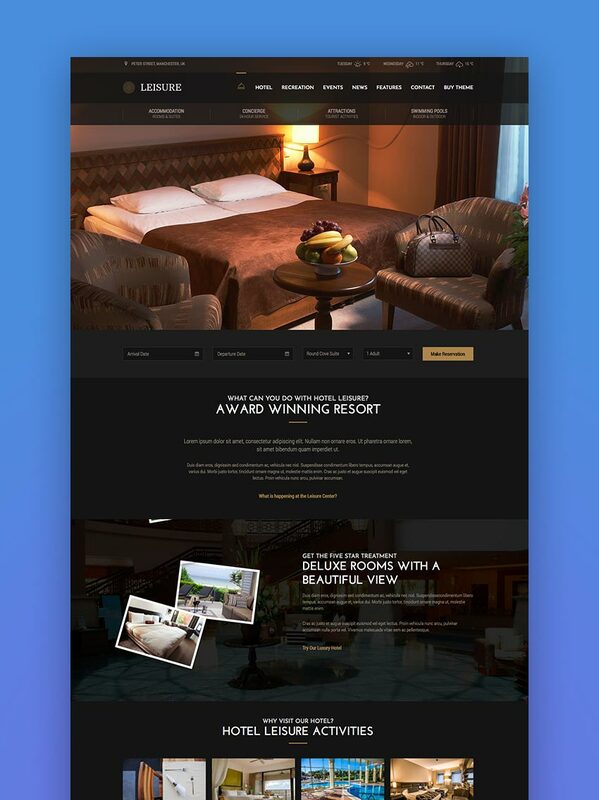 The Hotel WordPress theme offers a simple booking system that allows users to select desired dates and price range, and to choose from available amenities. From there, it’s just a matter of picking the room they’re interested in and heading off to checkout. The quicker the process, the more chance you have of making the sale. Regardless of what type of getaway spot you are, your website plays a crucial role in your success. It takes careful planning to ensure that you’re providing visitors with a great overall experience. Show them who you are and what you have to offer, and give them a reason to come for a visit. Most of all, make it easy for them to find the information they need to make an informed decision. Once you have your plan in place, you can use one of the great themes above to help turn your vision into a reality.